Why do I need Mexican Car Insurance ? The law in Mexico requires that your insurance coverage must be issued by a Mexican insurance company authorized by Mexican Federal law. When traveling to Mexico in any type of vehicle registered in the United States or Canada you must have car insurance provided by a Mexican insurer. When traveling to Mexico by car, you are subject to the traffic laws of Mexico. Therefore, you must be sure to obtain coverage with a Mexican insurance company for your trip. Auto insurance from insurance companies in the United States covers only in American territory. Some American insurance companies offer coverage for a few miles beyond the border and for a limited number of days, but this is physical damage coverage only. Therefore, you must buy your car insurance policy from a Mexican insurance company. Is your United States auto insurance policy valid in Mexico? USA car insurance policies only provide physical damage coverage in Mexico. This very limited coverage is an endorsement named “limited Mexico Coverage“. Remember that this coverage does not provide any third party liability coverage therefore if you hurt someone and the accident is your fault you are without coverage unless you have a Mexican Car insurance policy. The physical damage coverage provided by the American insurer is also only valid if the accident or loss occurs within 25 miles of the border. Some of these “limited Mexico coverage” endorsements are only good for 10 days. Not all American insurance companies offer this coverage. Therefore, it is always recommended to check with your insurance company. For greater security and peace of mind be sure to buy a Mexican car insurance policy from Mexican insurance companies for your travel to Mexico. It is NOT advisable to wait to buy insurance at the border or in Mexico. The main reason is that your temporary import permit can be denied at the border. 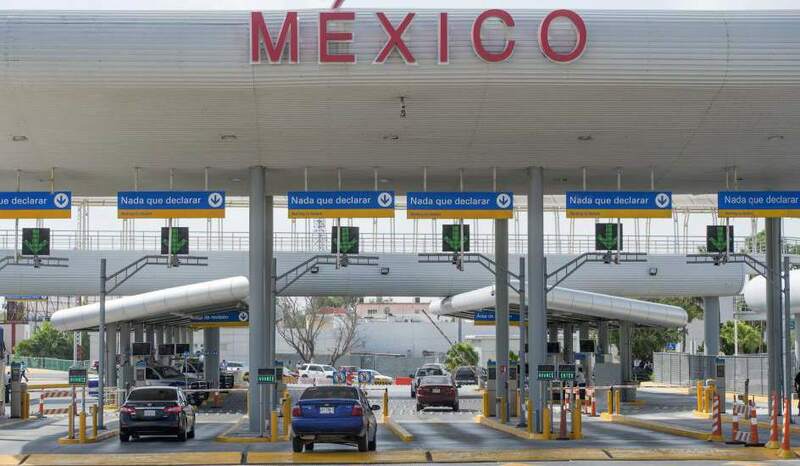 When the vehicle is financed by a banking institution or finance company, Mexican Customs requires a letter from your finance company authorizing the entry of your vehicle into México. Your financing company must verify that Mexican car insurance has been previously purchased in order to issue the authorization letter. At the border, it can be difficult to find where to buy insurance, and you will undoubtedly waste time and pay higher prices. During your stay in Mexico the police can ask you for the auto insurance policy at any point. While in Mexico, Federal or State police can ask for proof of Mexican insurance at any point and anywhere. In case of not having Mexican car insurance, the fines range from $ 150 dollars and up depending on what Mexican state you are in. Civil liability in Mexican Car insurance. Civil liability is the minimum legal coverage limit required to cover your civil liability in case of an accident. Civil Liability includes coverage for damage to the property of others and damage to people who are not traveling in the insured vehicle. Civil liability does not cover the losses of those who travel in the insured vehicle. The minimum liability limit required in Mexico for Civil Liability. The limits required in Mexico vary according to the Mexican State. We recommend buying a minimum of $ 50,000 for Civil Liability coverage. The owners of businesses or properties usually buy more coverage to avoid jeopardizing their assets in the event of an accident. If your vehicle is financed you should consult your finance company to see what coverage and limits should be contracted for the Mexican policy. BestMex offers coverage for $ 50,000, $ 100,000 and $ 300,000 dollars.